London, the cosmopolitan capital of England, with the arrival of spring traditionally becomes even richer in events and initiatives, rendering it even more attractive in the eyes of many visitors. One of the events not to miss for all coffee lovers is the London Coffee Festival, hosted from 28 to 31 March at the Old Truman Brewery in Brick Lane, where Astoria will again be present at the 2019 edition. One of the most important events in this sector, the Festival program includes gourmet coffee tasting, specialty teas, demonstrations by world famous baristas, live music and workshops to communicate the secrets of coffee and roasting. 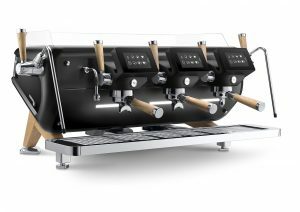 The London Coffee Festival is the premier trade fair in Europe for the world of specialty coffee: for this reason Astoria will be there with its top machine, the Storm, at stand (M04 – M05) with 3 examples, one standard and two FRC versions. At the Astoria stand various micro-roasters will alternate during these days, both Italian and English, letting the public and aficionados taste their own coffee brewed with Storm. Finally, an important surprise reserved for all those who would like to test the potential of the machine: a “Free to try” Storm FRC will be present at the stand, allowing visitors who would like to test the quality of the machine for themselves to bring their own coffee and enjoy a pleasant moment of relaxation, discovering all the secrets of the Astoria Storm.